The first outdoor classroom we ever built. We were asked to build a structure that would feel magical for the children. A space where they could enjoy outdoor learning, performing and story telling. As the structure started to take shape we became just as excited as the teachers and children! 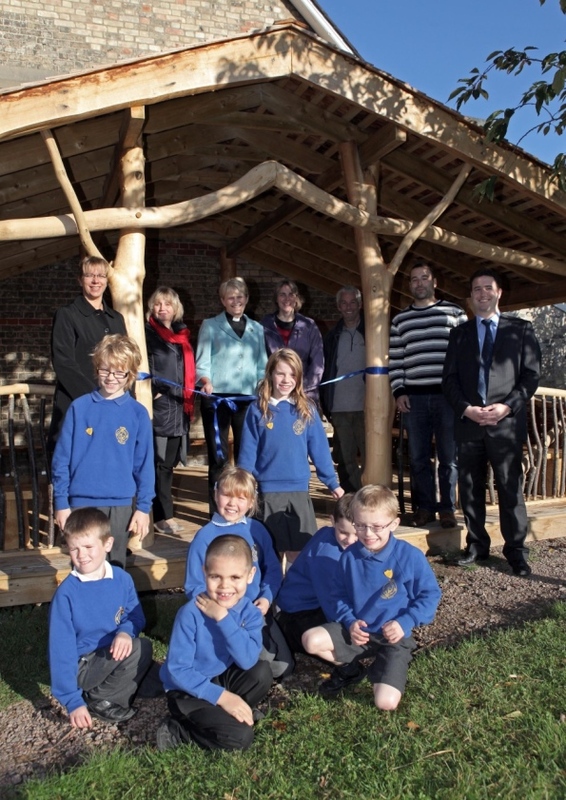 It seats 35 children comfortably and brings a bit of the woodland to the school. We were very proud to have built a structure that was totally bespoke and different from anything else we'd seen before. Exning Primary School, Exning, Suffolk.